Life is too short to make your own puff pastry. Let’s add a star thingy to that statement and include phyllo pastry in there too, shall we? Don’t even bother trying to make your own paper-thin phyllo pastry. It will end in tears. And tears. Gosh, English is weird. But I digress, back to puff pastry. The pastry that won the butter lottery. I’ve had this old box of cream horn moulds for ages which I was given by my Great Aunt and have been desperately wanting to bake a batch. Except, are they still a thing? Whatever happened to cream horns? They seem terribly out of date these days, but why? Whoever is doing the PR for them, is doing a shoddy job. 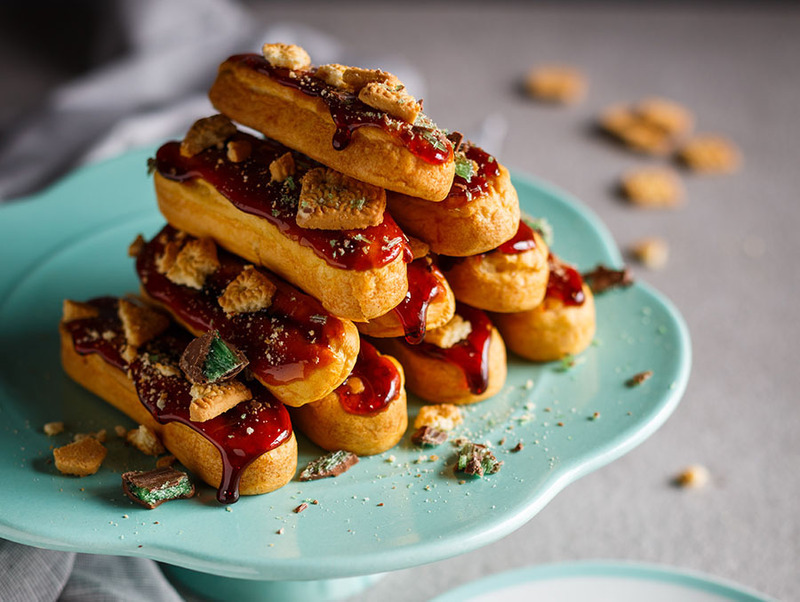 Doughnuts – still trendy. Pavlova – still trendy. 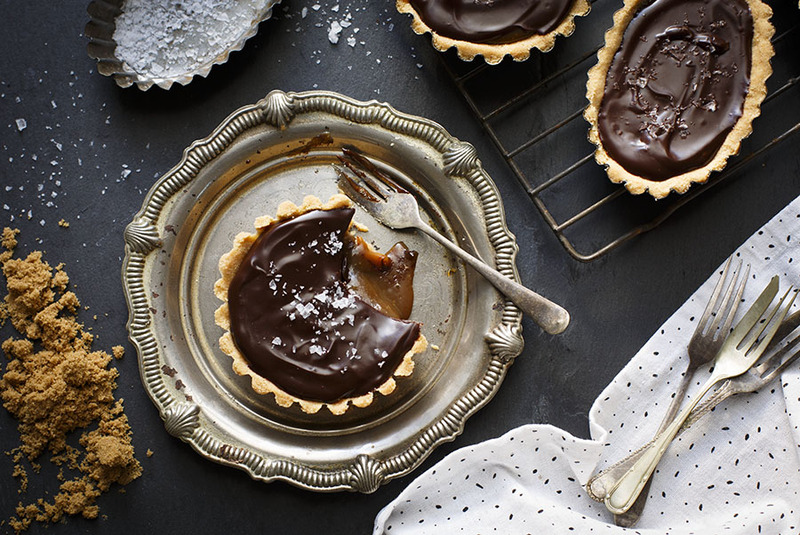 Tarts – still trendy. 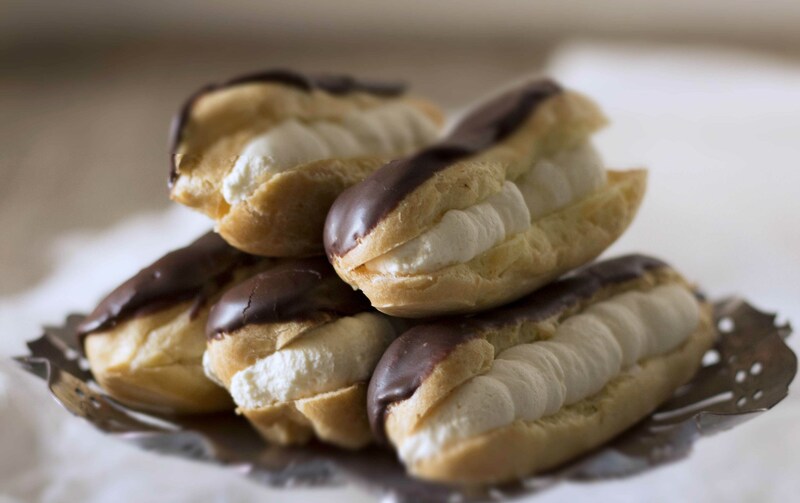 How can puff pastry and whipped cream be OLD-FASHIONED?! Well, I’m resurrecting them. With a boozy caramel cream that will knock your socks off. I reckon a tiramisu filling (the one I used in my Tiramisu eclairs ) would be mind-blowing too. 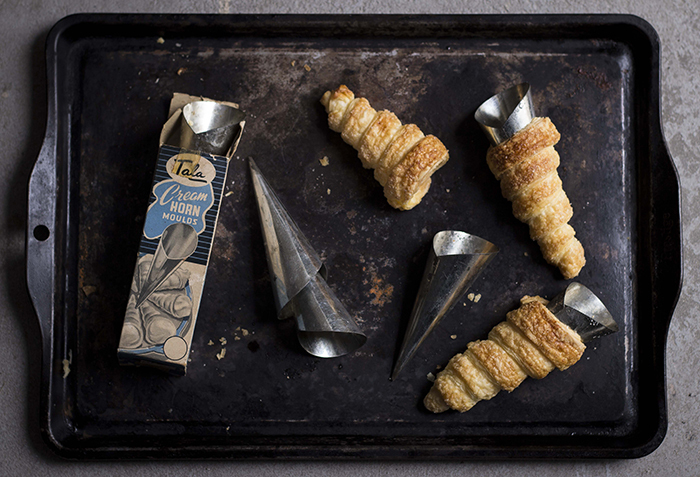 And before you tell me you need cream horn moulds, you don’t – simply cover ice cream cones in foil. 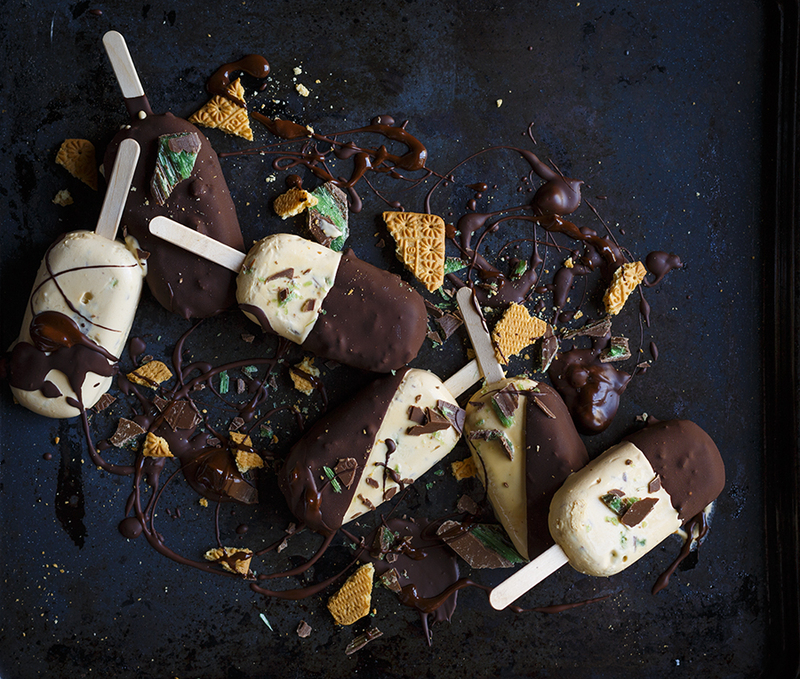 The only thing difficult about making these, is figuring out how to eat them gracefully. Preheat your oven to 200C (or 180C fan-forced) and grease or line a large baking sheet. 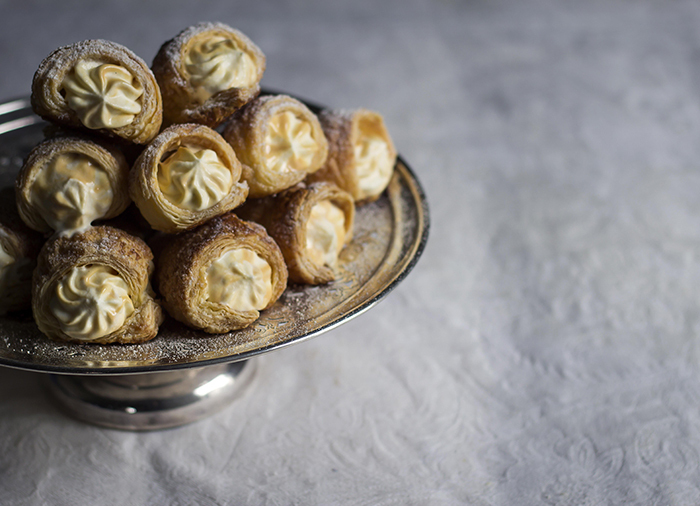 Spray your cream horn moulds with cooking spray (if you don’t have, simply wrap ice cream cones in foil and spray the outside). Start by unrolling the puff pastry on a lightly floured surface. 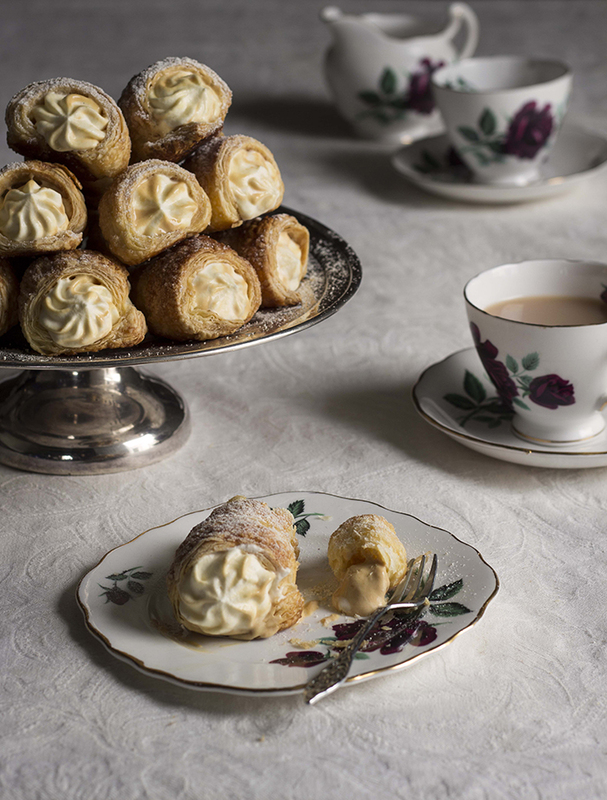 No need to roll it out with a rolling pin, it’s just the right thickness for the cream horns. Less work – yay! Cut 1cm strips lengthwise from the puff pastry then starting at the tip of the horn, wrap the pastry around, making sure it overlaps slightly. Brush a little milk on the end to make sure it sticks then place it on the prepared baking sheet. Brush with more milk and sprinkle with sugar. Repeat until all the puff pastry is finished. Bake the horns for 20-25 minutes or until they’re a lovely golden brown. Remove from the baking tray (or the sugar will make them stick) and allow to cool on a cooling rack. Make the filling by whipping the cream with the liqueuer and sugar until thick then place in a piping bag fitted with a star nozzle. Whisk the caramel in a bowl until smooth. Fill the horns with a little (or a lot of) caramel then pipe the whipped cream on top – do this just before serving so they stay nice and crunchy. Don’t forget the dusting of icing sugar!